Telecommunications & postal services minister Siyabonga Cwele has unveiled a radical shake-up in the way South Africa’s ICT sector is managed, including a controversial change to the way so-called “high-demand” spectrum is allocated, along with the introduction of a dramatically overhauled regulatory regime. The national integrated ICT policy white paper, approved by cabinet on Wednesday and to be published in the Government Gazette on Monday, looks set to generate enormous controversy — and legal challenges — as it looks to change fundamentally the way the industry has operated until now. The most contentious changes introduced in the white paper, which will form the basis of future legislation, are around how spectrum is managed and allocated, but there are other chapters in the document that are set to ruffle industry feathers. The white paper defines spectrum as an “important utility and a public good” and puts forward “measures to support a paradigm shift towards non-exclusive assignment of highly contested spectrum in bands where demand exceeds the amount of spectrum available”. The white paper defines open access as “wholesale access provided to electronic communications network infrastructure or services on terms that are reasonable, effective, transparent and non-discriminatory”. “It is backed by principles of openness, transparency, equal access and non-discrimination, sharing and non-duplication and efficiency, standardisation and reasonableness,” Cwele said. The minister said the policy is meant to lead to the more effective use of spectrum and the reduction in duplication of infrastructure while facilitating service-based competition. The policy also “clarifies” the roles of the minister and the regulator. 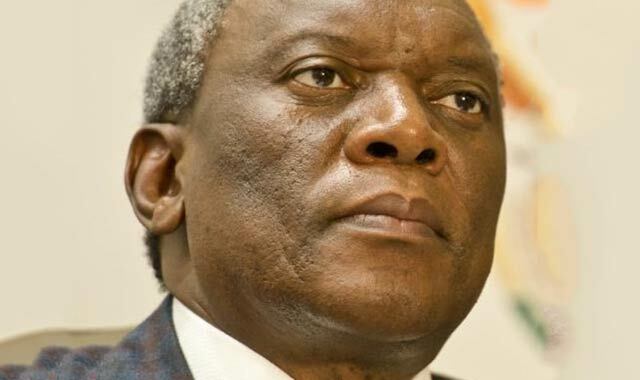 This, Cwele said, is being done to “remove institutional inefficiencies such as gaps in the spectrum management regime with regard to the assignment between national universal service objectives and the licensing of frequency spectrum resources, the setting of spectrum fees, spectrum trading, sharing, re-farming and migration”. The white paper proposes the establishment of two new regulators, which will replace agencies such as Icasa and the Film and Publication Board. The first of the new regulators will focus on telecoms and postal networks and services; the second will focus on content and audio-visual services. All policy-related functions currently residing with underserviced area agency Usaasa will be transferred to the minister. Regulatory functions such as licence conditions to advance universal service and access and monitoring of roll-out of networks currently residing with Usaasa will be transferred to the new networks regulator. A new “digital development fund” to manage the universal service funds and the roll-out of programmes to address the digital divide and ensure universal access to infrastructure and services. Principles of open Internet and network neutrality “to ensure all lawful and legal Internet traffic is treated equally, without discrimination, restriction or interference, regardless of the sender, receiver, content, device, service or application”. Cwele said the white paper is final and will be used as the basis to create new legislation to govern the sector. However, a new policy document on broadcasting is still being developed by the department of communications and will form part of the overall policy at a later date. Sounds awfully like another ANC “You just can’t make this stuff up” moment Cwele. Fortunately for the public I don’t receive a kings ransom in salary, perks and blue light convoys, Cwele does. He is a professional ANC politician, that says it all, or, explained again. That’s not an explanation as it doesn’t clarify anything about your position. I’m not picking on you: I am genuinely curious why you don’t agree with this white paper. But I want specifics, not some vague correlation between this and the ruling party. Objectively, why is the above bad for the development of our telco space? This is something Telkom’s network never had until the establishment of Openserve, which itself has yet to prove it stands for any of the above. The idea of a wholesale network is fundamentally different to what Telkom had or what current mobile networks still have. You’re comparing apples and oranges. Sounds like good news to me. The Vodacom-MTN unholy alliance has bled the people dry for too long. “Principles of open Internet and network neutrality “to ensure all lawful and legal Internet traffic is treated equally, without discrimination, restriction or interference, regardless of the sender, receiver, content, device, service or application”. Uncapped Unshaped internet – or at the very least no more shaping. Expect the ISP’s to ether drop Uncapped or to be much stricter on the AUP’s. I do not foresee “one network” but the use of multiple networks between providers? We will be able to form a better opinion after reading the complete paper.